There are three colleges in and around Harrisonburg, so we’re a three-fer! You can visit all of them (Eastern Mennonite University and James Madison University in Harrisonburg and Bridgewater College just south of town) and see three different college experiences. Eastern Mennonite offers a truly international experience in a Christian context. Your classmates will come from all over the world, and some will go on to win international prizes, like Leymah Gbowee who won the Nobel Peace Prize in 2011. 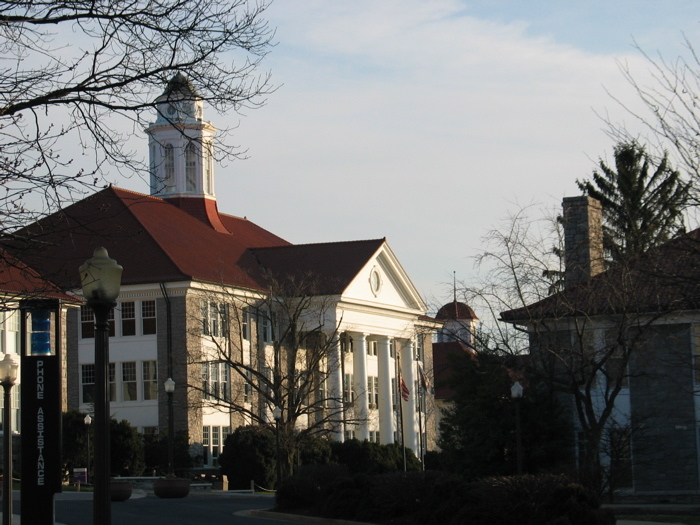 Bridgewater College is a liberal arts college where you will study in small classes with dedicated professors. It was the first private liberal arts college in Virginia to admit women. It also has its own equestrian center and offers an Equine Studies Minor. James Madison University, with over 22,000 students, offers a comprehensive education with over 130 degree programs including traditional degrees, interdisciplinary majors and pre-professional programs. JMU’s vision is to be the national model for the engaged university, and students and faculty partner with over 100 organization to serve those in need in the community and world. Global engagement is a priority, too, and ¼ of all undergraduates study abroad. After the campus tour, think about exploring the town and countryside that surround you. There are wonderful places to stay, from the charm of The Joshua Wilton House to the elegance of The Hotel Madison, or one of the many other hotels and suites in town. Head to downtown Harrisonburg for a relaxing lunch, choosing from the diverse array of restaurants. 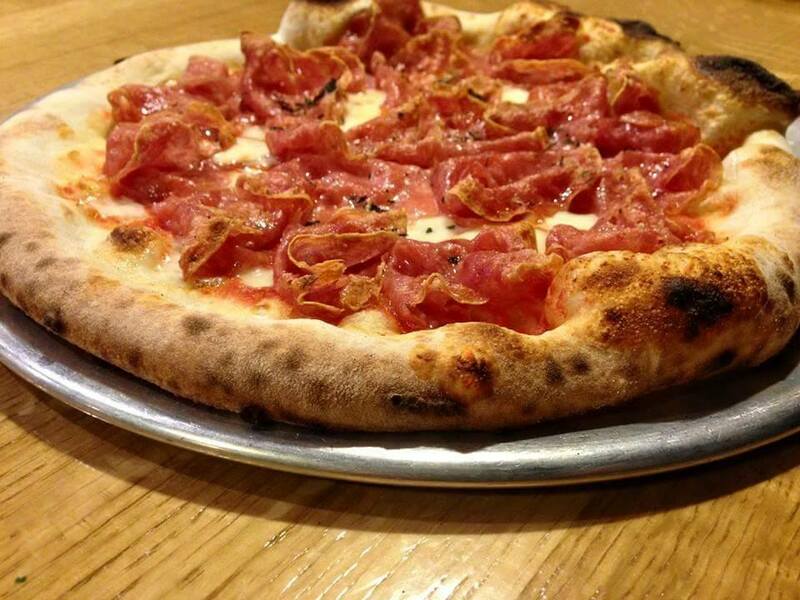 Does someone in your group love woodfired pizza? Bella Luna is the place for you! How about Peruvian Chicken? Food.Bar.Food! Does a great burger appeal to you? Try the Pony Boy at The Golden Pony. Or try Harrisonburg’s favorite college hangout, The Little Grill.  Open since the 1940s, it’s been voted the best breakfast and brunch in Harrisonburg for years. Lots of vegetarian and vegan options, as well. Get a preview of college life in Harrisonburg! Take a break from the decision-making pressure and get outdoors! Try some skiing or snow tubing at Massanutten Resort. Or try out their year-round waterpark where it’s always 84 degrees! Walk, run or bike the Rocktown Trails at Hillandale Park which offer three different levels of difficulty to appeal to a complete spectrum of runners, walkers and cyclists from novice to expert. If it’s warm, hit a bucket of balls or play some mini-golf at Mulligan’s Golf Center. Or play the real 18 at Heritage Oaks. It’s Par 70 with distances ranging from 4500 yards to 6325 yards with your choice of 4 tees on every hole. If it’s cold or rainy, you can still get a workout at Funky’s Skate Center or bouncing around at Pump It Up just south of town. 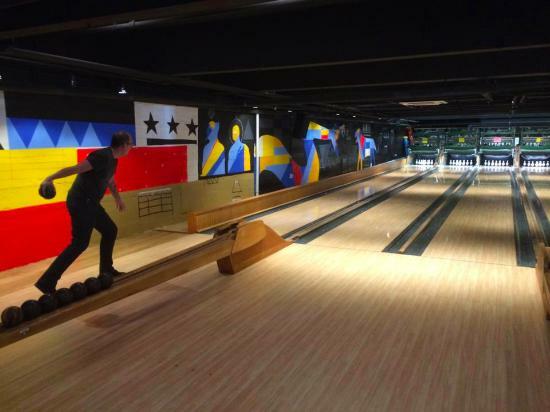 If you’re looking for more sedate games, Ruby’s Arcade offers duck pin bowling, foosball, ping pong and pool as well as pizza, barbeque and beer. Try out the nightlife with music at Clementine or Pale Fire Brewery. Do some wandering downtown, taking in the historic houses like the Warren-Sipe house which houses the Virginia Quilt Museum and the Hardesty-Higgins House which houses the Harrisonburg Visitor Center, including the Civil War Orientation Room and the Valley Turnpike Museum. Visit the small, locally owned shops nearby like The Green Hummingbird which offers Fair Trade clothing. 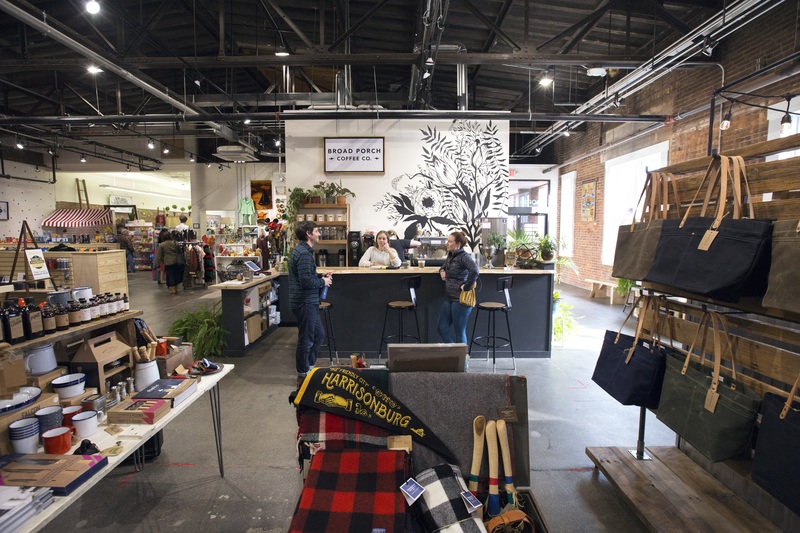 In Agora Downtown Market you’ll find 10 shops under one roof with everything from canvas and fine leather handbags at Lineage, to natural parenting essentials at Fluffy Fannies, to locally roasted coffee and loose teas at Broad Porch Coffee Co.. Oasis is an artist’s cooperative, offering the work of 40 local painters, potters, chain-mail artists and jewelry-makers. And in the Ice House, you can watch the fine jewelry-making prowess of Hugo Kohl as he crafts stunning works in ethically sourced gold and silver, using “hubs,” many of them crafted in the early 1800s. Go back to the campus you liked best and take another look. If it’s JMU, look at the beautiful mural in the Biosciences Building or visit the Mineral Museum. 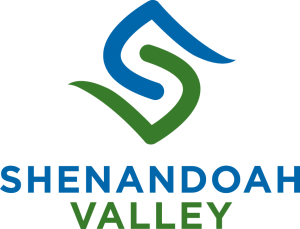 At EMU, visit the Menno Simons Historical Library and explore their resources about the history of the Shenandoah Valley. At Bridgewater, visit the beautiful Carter Center for Worship and Music or Memorial Hall which dates to 1890. Talk to students about life at the different colleges. You’ll find the students friendly and interested in the choices you’ll be making. After all, they had to make this choice, too! Imagine yourself there next year. How does it feel? Each of these colleges is wonderful in its own way. And, best of all, you get to live in (or near) the fun, safe and exciting vibe of Harrisonburg! We’re Friendly By Nature! Written by Guest Blogger, Susan Facknitz. Susan is a Travel Specialist for Harrisonburg Tourism.